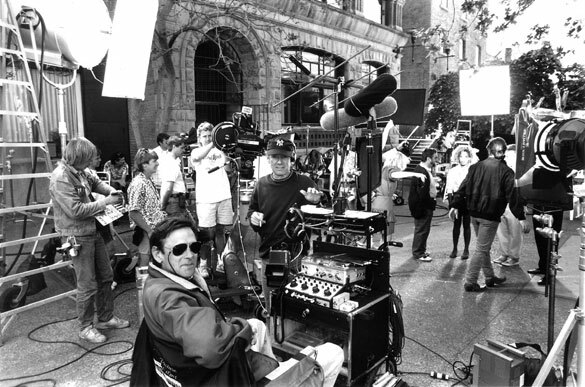 Bumping into a movie set on the streets of downtown Vancouver is usually a given on any day of the week. In recent years, Greater Vancouver has quickly become one of Hollywood’s favourite places to film silver screen blockbusters. However, because of its gorgeous scenery, characteristic architecture and the warmth of its small towns, Vancouver Island has also provided the backdrop for many well-known films. This week’s Island Profile takes a look at a few of those movies while hopefully inducing a few “huh- I had no idea that was on the Island!” moments along the way. With dense forests and countless fishing boats, it’s easy to mistake Port Alberni for Alaska, but that’s just what the producers of Insomnia were hoping we’d do. Al Pacino, Robin Williams and Hilary Swank brought their star power to the mid-Island town in this cat-and-mouse drama. Though we’re made to believe it’s in and around Alaska, there’s no mistaking Argyle Street and the nearby Catalyst Mill. While much of this adaption of Jean M. Auel’s novel was shot in the Canadian Rockies, the lush forest of Cathedral Grove at MacMillan Provincial Park provided the setting for Clan of the Cave Bear. Daryl Hannah plays a young Cro-Magnon woman, Ayla, who’s taken in by a group of Neanderthals after being separated from her family during an earthquake. Though it was largely considered to be a box office flop, the movie is made watchable if only for the incredible cinematography. 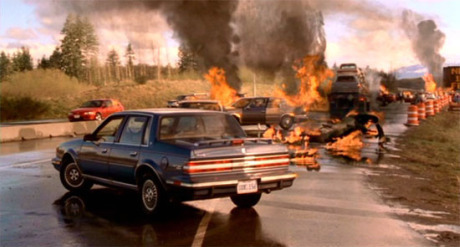 The string of Final Destination films have gained notoriety for their grotesque opening sequences, usually depicting a horrific premonition. The Jubilee Parkway just outside of Campbell River was transformed into a roadway of destruction after a logging truck was the catalyst for an accident of nightmare-ish proportions in the second installation in this series. One of my personal favourite films follows Rick (Mel Gibson) and Marianne (Goldie Hawn) as ex-lovers on the lam through Detroit and Wisconsin. The Gastown and financial district neighbourhoods in Vancouver stood in for much of Detroit, but Rick and Marianne’s escape to Wisconsin by ferry was shot through the Southern Gulf Islands on the Tsawwassen-to-Victoria route. And further, their infamous motorbike getaway in what was supposed to be downtown Racine was actually shot throughout Victoria’s Market Square, the Johnson Street Bridge and Chinatown – including Fan Tan Alley. The Comox Valley was buzzing when word came that Charlize Theron would be in town to shoot a thriller. It was hard to miss the Comox Glacier in the background during the opening scenes along the Goose Spit road. This kidnapping drama culminated in a climactic ending on the Inland Island Highway standing in for a Washington State highway. 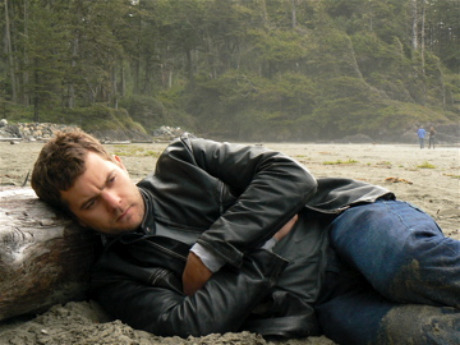 This Canadiana favourite chronicles Ben (played by BC native Joshua Jackson) on his motorcycle journey across Canada with a desire to eventually dip his toes in the Pacific Ocean. Ben trip ends in the aptly-named One Week when he reaches the western shores, surfboard under his arm. The beaches in Tofino are incomparable in beauty to any other stretches of sand around the globe, and the film’s images of Tofino’s misty shores provide an almost sensory experience on the screen. In addition, popular series such as Smallville and The X-Files have also been filmed on location on the south Island. The VINFC has created an interactive map that allows you to take a detailed film location tour. 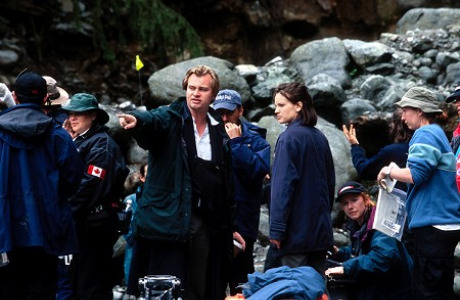 Know of another film or series that was shot on Vancouver Island? Please feel free to leave a comment below and fill us in! Double Jeopardy was filmed on the Island I believe as well, at least a few scenes on the ferry. I loved One Week, which is a love story to Canada. Nice movie that u can watch many times over the years.